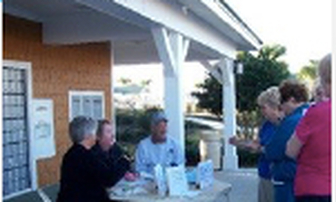 The Lakeside Grovers typically hold their events on the fourth Monday of every month at Sterling Heights Recreation Center, 2508 St Charles Place, The Villages, FL. Doors open at 6:00 p.m.; the events start at 6:30 p.m.
​Several times a year we book a larger venue, and the dates for those events are assigned by The Villages Recreation Department and will vary. 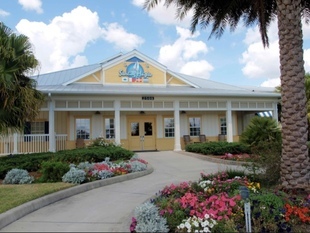 We generally hold our Holiday Party at Savannah Center, 1545 Buena Vista Blvd, The Villages, FL earlier in the month because so many members are gone for Christmas. We publish a newsletter at the beginning of each month which always gives you the details about that month's event, reminds you of the date for Ticket Tuesday, and contains pictures from the previous event. Other important Club information keeps you in the know. 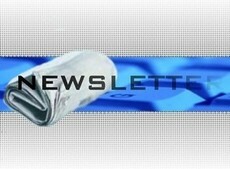 The most recent newsletter as well as an archive of past issues are on our Newsletters page. Take a look and if you like what you see, get our newsletters sent directly to your email each month. Use the Contact Us form on our Join Us page to sign up. "Tickets" to our events may be purchased by members on Ticket Tuesdays - held two weeks before the event at the Tamarind Grove Mail Station from 4:00 p.m. to 5:00 p.m. Tickets are sold to members first, so if a sell out is expected, guest will be placed on a Wait List. If space is available after the close of Ticket Tuesday, an email is sent to those on our mailing list giving instructions for reserving a space. NOTE: Tickets to events are virtual. No physical tickets are distributed. The names of members who reserved a space are checked at the door on the day of the event.